In a large bowl, blend together 1 cup All Purpose SANE Baking Mix, baking powder, Clean Whey Protein, erythritol and salt. In another large bowl, mix the coconut cream, water, and beaten egg. Add dry ingredients to the liquid ingredients and whisk batter until any lumps are removed. Don’t overbeat. Let the mixture sit for at least 5 minutes to activate the baking powder. 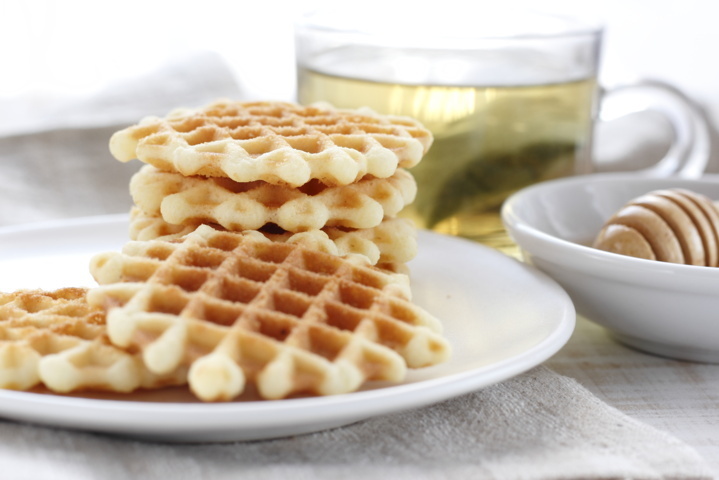 Heat the waffle iron and pour the batter in the center of the waffle iron. Close the top and cook waffles for about 1- 1 1/2 minutes or until golden brown. TIP: The recipe for All Purpose SANE Baking Mix can be found by clicking here.